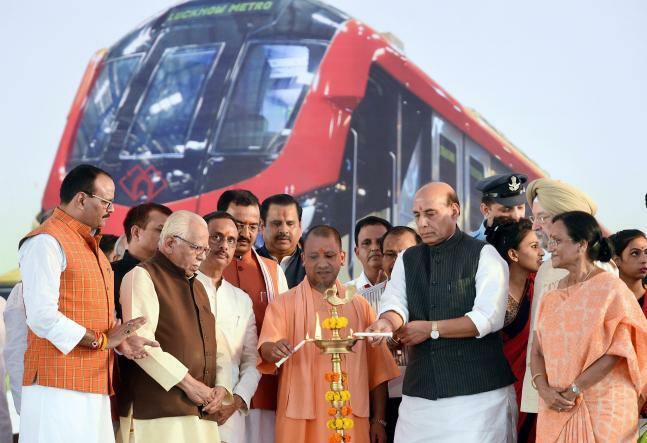 Union Home Minister Rajnath Singh and Uttar Pradesh Chief Minister Yogi Adityanath on Tuesday flagged off the maiden run of the Lucknow Metro in the state capital. 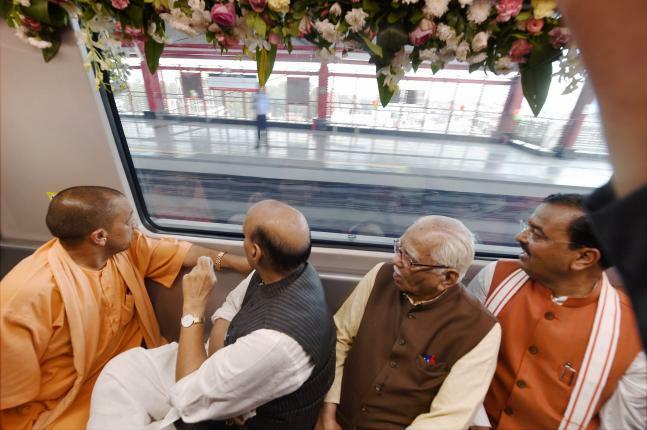 While flagging off the ceremony, Singh said “The doors of development open naturally in a city which has Metro train service.” CM Yogi Adityanath promised to implement similar Metro projects in other cities of the state. 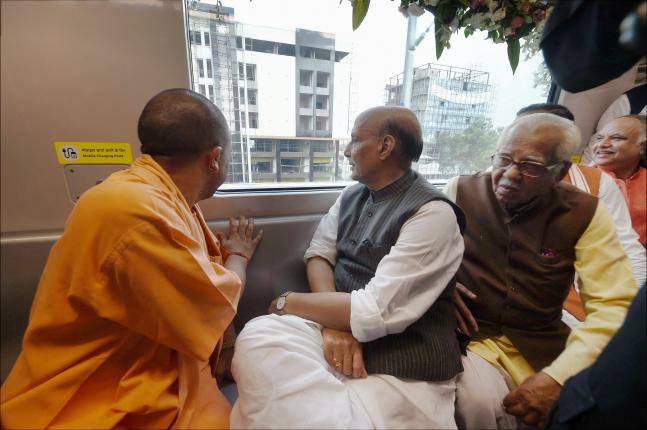 The first train was flagged off from Transport Nagar metro station by Singh, who represents the Lucknow Lok Sabha seat. The Phase-1 of the Lucknow Metro corridor measures 8.5 kilometers and has over eight stations will be open for public from September 6. In the initial days the metro services will be operational between 6 am and 10 pm everyday. 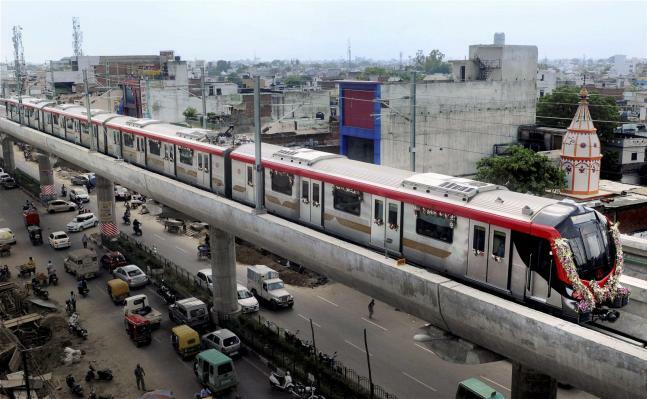 “The corridor is part of a 23 km North-South Metro corridor which is being executed by LMRC from Chaudhary Charan Singh Airport to Munshipulia,” Kumar Keshav, Managing Director of Lucknow Metro Rail Corporation (LMRC) said. 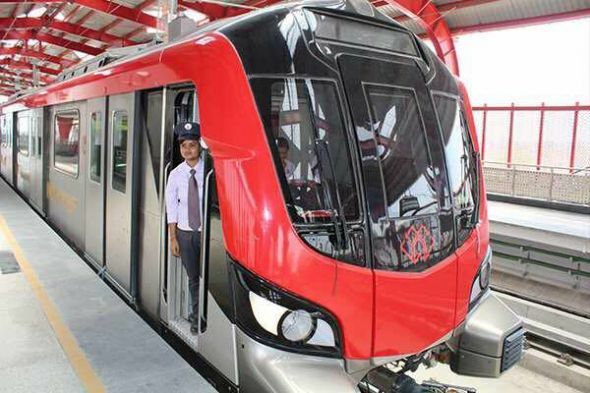 The Lucknow Metro will also have the “most advanced signalling and train control system”, called Communication Based Train Control System (CBTC), which will enable trains to virtually operate on “driverless” mode. The foundation stone for phase-1 of the North-South Metro Rail Corridor project was laid by ex-Chief Minister Akhilesh Yadav on March 4, 2014 and it took over three years to build the network. The Centre had recently cleared a new Metro Rail Policy too, mandating private investment in such projects, in order to speed up future metro projects.